But sometimes farmers treat some of their watermelons with colchicine, a chemical that allows chromosomes to duplicate but prevents them from splitting into two cells. This creates a tetraploid – a super-squash with four complete sets of chromosomes. 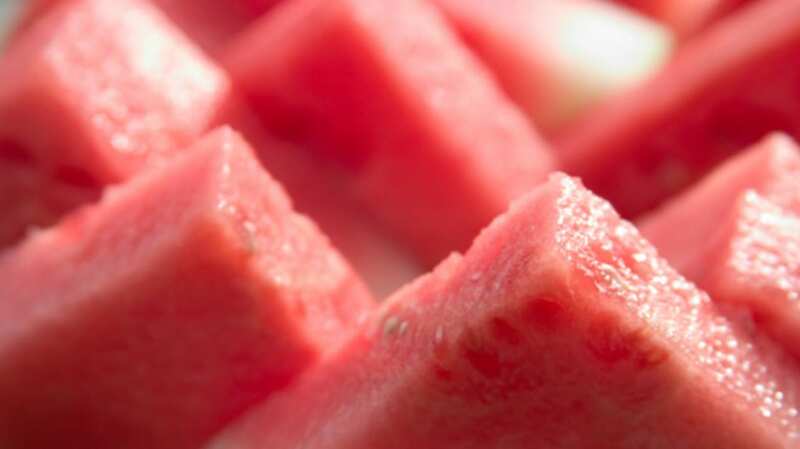 The fruit isn’t genetically modified; cells contain the same DNA as standard melons – just twice as many. But wait a second - what are those soft white shells in the supposedly seedless melon that look like the tiny, underdeveloped seeds? These are the ovules (also called “pips”), the part of the plant that would become the seed in a normal watermelon. It’s really just soft coating – you can’t actually plant them. For the past 50 years, this melon has saved millions of adults from losing face in no-holds-barred seed–spitting contests. Let’s face it: the nine-year-olds always win. So next time you’re savoring seedless watermelon, show some gratitude for the miracle of science responsible for its existence.